YOU CAN’T FIND A WIDER SELECTION OF CONVEYOR CHAINS, ONLY AT TSUBAKI! As a leading manufacturer of chains and conveyor equipment, Tsubaki has vigorously been carrying out R&D for both manufacturing and applications. With these results, many of Tsubaki’s conveyor chains have been standardized to meet various applications for different operating conditions and circumstances. 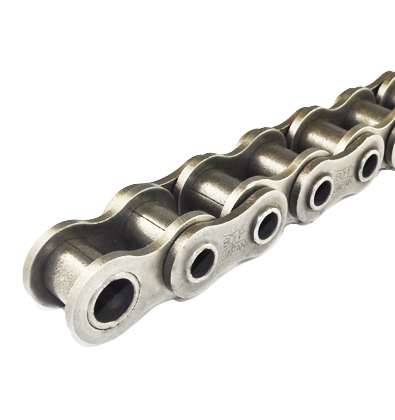 Any standardized chain can now be supplied within a short delivery time. Apply the most suitable chain to meet your application by selecting from the wide range of standardized Tsubaki Conveyor Chains.